I came across a new code today that I wanted to share even though I’m not sure when it will expire. 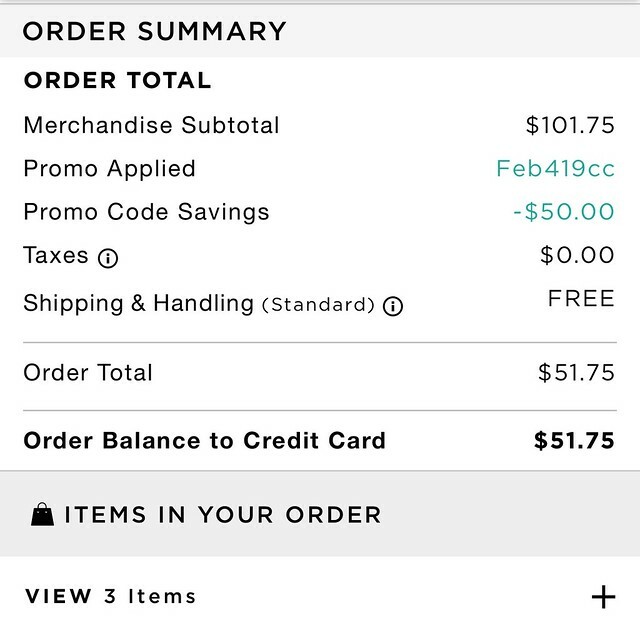 Use code FEB419CC for an extra $50 off $100+ at LOFT and it’s valid on full-price promotional items (excludes Lou & Grey). 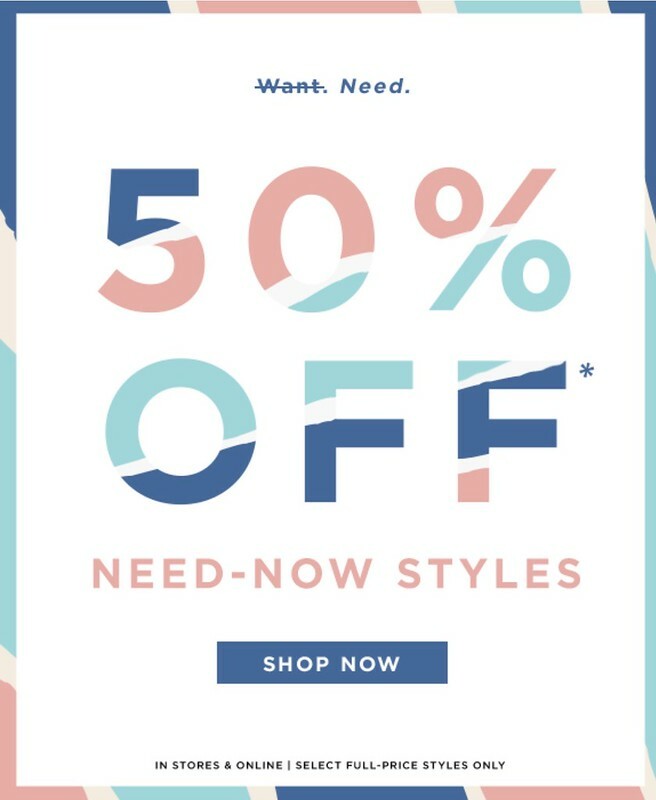 You can apply this code on top of select full-price styles that are currently 50% off and ‘no code needed’. You can also use this tip to get FREE shipping on orders of $50+ (old post so please ignore the sale alert in the post)! 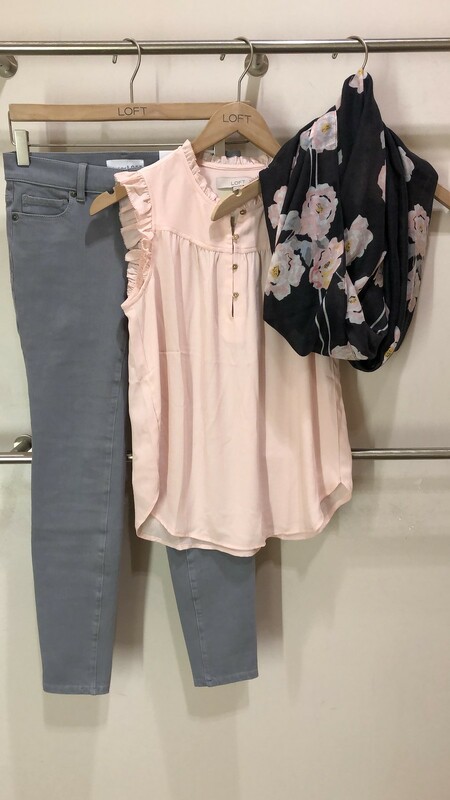 Below is an example of what I ordered for 50% off select full-price styles, plus extra $50 off $100+ with code FEB419CC and free shipping on orders of $50+ in case you need a visual. 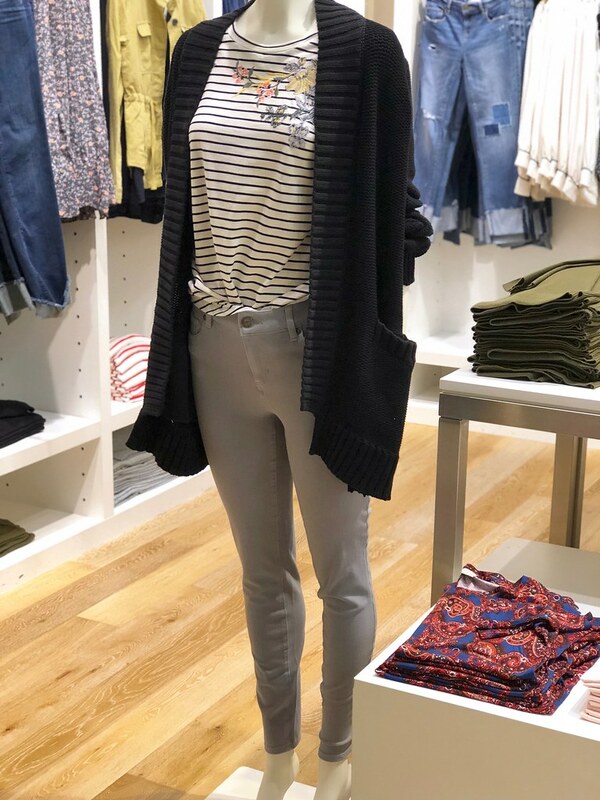 I ordered this rib trim pocket open cardigan in black (review here), this smocked tie neck blouse and these 4 way stretch denim leggings (review here) to take advantage of the additional savings code. I basically wanted to recreate the following look I spotted last week at LOFT Prudential Center. However, I removed the tee shirt after the fact since I have a similar one from last year. Thanks to Annie @pfaffannie for sharing the latest LOFT cardmember code! 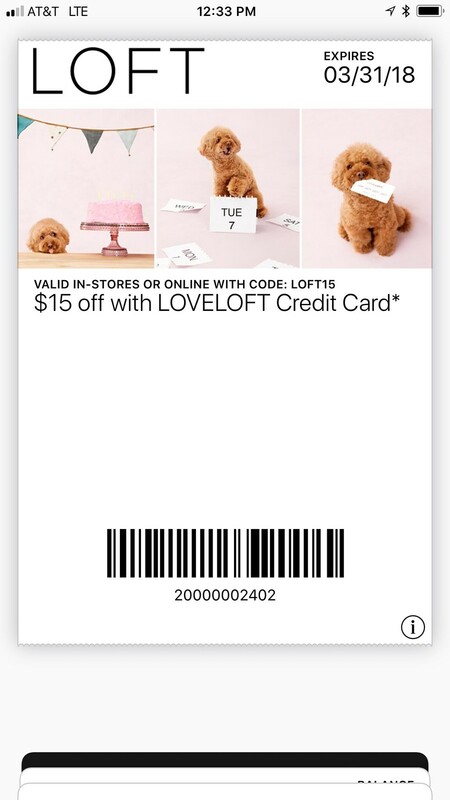 Get an extra $15 off your entire purchase in-stores or online when you use your LOVELOFT Card and code LOFT15. Excludes full-price Lou & Grey. Valid 2/14/18-3/31/18. You can save this offer to your mobile wallet by texting LOFT15 to 28162. Read the fine print here. Despite the fine print I noticed that this code only works online if the shopping cart is at least $50+. 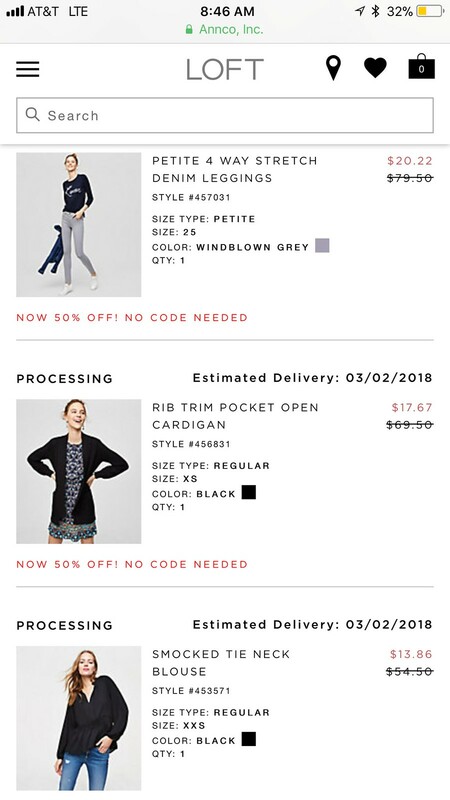 The code works on both full-price styles and sale styles. You will see the savings applied when you ‘review order’ and before you ‘place order’. I received confirmation today that the above LOFT15 code also worked at LOFT Outlet (thanks Kim!). I haven’t had time to try it out myself yet. I shared two codes today but FEB419CC code is the better code right now. Note that the shopping cart only accepts one code at checkout. If you like the tips I shared in this post please share it with your friends so that they can shop and save too. Sharing is caring!